Jesus, our brother, son of God and son of Mary, I thank you for the gift of life you have entrusted to my care. Help me be a parent both tender and wise, both loving and forgiving, able both to discipline and to give freedom. 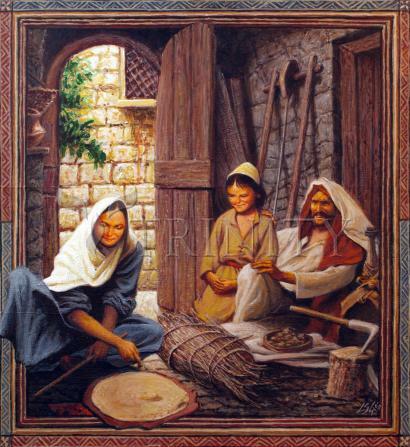 Joseph, Foster-Father to Jesus, guardian and spouse of Mary, keep this family safe from harm. Help us in all times of discouragement or anxiety. Holy Family of Nazareth, make our family one with you. May we be peace-loving and peace-giving. And may we always have God as the center of our hearts and our home. Amen.